Our guide to Indianapolis will help you find the best budget hotels in Indianapolis Indiana. After an extensive beautification project that began in the 1980s, Indianapolis has evolved into a flourishing hub for industry, commerce, sports and entertainment. The capital of Indiana is a city full of superlative attributes. It has been voted "One of America's Best Places to Live and Work," ranked among the best cities for small business, and cited as an optimal choice among meeting planners. The city is known for hosting two of the largest single-day sporting events, the Indianapolis 500 and the Brickyard 400. It is also home to the NFL Colts and the NBA Pacers. Tourists are drawn to such famous sites as the Indianapolis Museum of Art, the Indianapolis Zoo and the RCA Dome. Other popular spots to visit include Circle Center, which is the hallmark of the downtown area, and the Canal Walk, which allows visitors to navigate through scenic parks, gardens and trails. There are tons of great budget hotels in the city of Indianapolis, our city guide will help you find the best budget hotels. You may have a hard time deciding what to do in Indianapolis, but we make your decision easy. 10 E Market St, (317) 955-9700 - Hilton Garden Inn Indianapolis Downtown is a budget hotel / motel / resort located in Indianapolis IN. 10675 N Pennsylvania St, (317) 582-1500 - Staybridge Suites is a budget hotel / motel / resort located in Indianapolis IN. 211 S Meridian St, (317) 636-7992 - Homewood Suites Indianapolis-Downtown is a budget hotel / motel / resort located in Indianapolis IN. 2295 N Shadeland, (317) 359-9999 - The Comfort Inn East Indianapolis hotel near IUPUI and Indiana State Fairgrounds. 350 W New York St, (317) 822-0840 - Residence Inn Indianapolis Downtown on the Canal is a budget hotel / motel / resort located in Indianapolis IN. 3553 Founders Rd, (317) 872-0462 - Residence Inn Indianapolis North is a budget hotel / motel / resort located in Indianapolis IN. 3740 N High School Rd, (317) 293-6550 - Red Carpet Inn is a budget hotel / motel / resort located in Indianapolis IN. 3871 W 92nd St, (317) 879-1700 - Best Western Country Suites is a budget hotel / motel / resort located in Indianapolis IN. 3880 W 92nd St, (317) 872-3100 - La Quinta Inn Indianapolis North at Pyramids is a budget hotel / motel / resort located in Indianapolis IN. 4450 Southport Xing Dr, (317) 888-5588 - Best Western Indianapolis South is a budget hotel / motel / resort located in Indianapolis IN. 4502 S Harding St, (317) 788-4774 - Super 8 Airport South is a budget hotel / motel / resort located in Indianapolis IN. 4530 S Emerson Ave, (317) 788-0955 - Super 8 is a budget hotel / motel / resort located in Indianapolis IN. 5040 S E St, (317) 783-6711 - Comfort Inn South is a budget hotel / motel / resort located in Indianapolis IN. There are plenty more budget hotels in Indianapolis. 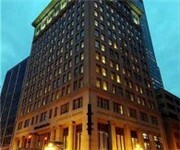 See all budget hotels in Indianapolis Indiana.